I'm not kidding when I say there are things in Android 5.0 Lollipop that will literally change your life. OK, I'm not talking about a spiritual awakening or anything, but they will absolutely change the way you've always used your Android smartphone. So let's dive in and take a closer look at the five best Android 5.0 features. When will my phone get Android 5.0 Lollipop? No matter which phone you have, the battery life is likely not what you would like. When Android 5.0 arrives, even if you don't have a Nexus or Motorola device running stock Android, the battery life on your phone is going to improve dramatically. Sure, many Android phones have battery saving modes already, but Android 5.0 bakes it into the stock Android firmware, providing a level of battery optimization that OEMs can only dream of. I suspect you'll still get extreme or ultra power saving modes on top of the stock mode on Samsung and HTC devices for example. Just imagine what kind of battery life will be possible with a Galaxy S5, optimized with LucidLogix technology, running Ultra Power Saving Mode on top of the battery enhancements and power optimizations already in Android 5.0. The frequency with which you look for power outlets is about to shrink dramatically. There's all sorts of funky new stuff going on in Android 5.0 regarding the camera but perhaps the most important part for the average shutterbug is that third party apps can access RAW image data from the camera. This means that you'll be capturing DSLR style image data whenever you snap pics rather than a compressed jpeg. Get the Android 5.0 camera app right now. The change to how the Android 5.0 camera captures information means that you can export the RAW data to an image editor for some creative handiwork or you can simply convert it to a jpeg while setting your own parameters for an even better jpeg than you currently get by default. Do not underestimate how good this change will be (if you bother to make use of it). The days of painstakingly transferring over apps, data and files to a new phone, only to then have to contend with alternative launchers, settings and home screen customizations (wallpapers, icons, folders etc) will soon be a thing of the past when Android 5.0 arrives. What is NFC is and how does it work? With Tap and Go you simply place your old phone and your new phone side by side and let NFC pairing and Bluetooth data transfer do the work for you. Your old phone will magically transport itself to your new phone, saving you time, headaches and mistakes. This is a double edged sword. Samsung donated the Knox security platform to Google for inclusion in Android 5.0 so Android itself would be more attractive to enterprise with built in sand boxing under the Bring Your Own Device initiative. But Knox isn't all beer and skittles. Or lollipops and Androids as the case may be. Want to know more about Samsung's Knox? Knox means two things: that you can safely use one device for both work and personal use, because work and play are held separately in their own containers, with the two faces of your phone never meeting in uncomfortable ways. Turn on Knox for your work day, and turn it off at home time. But Knox also means that you'll encounter issues with warranty and flash counters if you're the type of Android fan that likes to tinker with your toy. Which brings me to the last ''feature'' that will change how you use your phone (these last two are admitttedly from the darker side of the new Android). Under the new Android 5.0 sun, rooting your Android will be much more difficult than it was before, and potentially even impossible. Legendary XDA Developer Chainfire has been talking about broken root in Android L for ages. While the dev has still managed to enable root via a custom kernel in the latest L preview, it's uncertain just how many changes to SELinux will make it into the final Android 5.0 code. This will determine just how many security holes there will be left for devs to exploit in order to gain root level access. If the script required for root can no longer run at boot, will we find workarounds or will we have to say farewell to root privileges? If you want to know what else is new in Android 5.0, take a look below for my original coverage of what was then the Android L developer preview as it was demoed at Google I/O back in June. Android is a constantly evolving ecosystem and the same thing can be said of the design principles that Google expects of those making use of its platform. The official Google apps are always at the forefront of what to expect from future versions of Android and provide a template for quick-witted developers and designers to base their own interface revisions on. This year is no different, with a strong focus on improving design across the board of Android., so we've already seen previews in the new Google+ app and other leaks. ''Material Design'' is the new design language we'll be seeing in Android, the web and desktop, and it is playful, colorful and flatter than ever. However, shadows are also a key element of the new language with new options for developers to integrate 3D views with real-time shadows into their apps, allowing for easily recognizable layering of information, tabs and more. Android also has a revision to the Roboto system font, and all new animations including touch feedback. Animations between apps, activities and screens can be made across the entire Material Design framework and the Material theme will filter out to Google's apps in months to come. There is a new unified design guideline for developer's available on Google's design site. The use of shadows takes elements of Google Now's card stacks and spread them throughout the interface, so you can see, through the use of shadows and layering, that one element will animate above another when you tap it, swipe it or scroll to it. The effects are great and the animations look smooth and creative. Notifications are now available direct from the lock screen. As we saw with the leaks of Project Hera, notifications and alerts can instantly access the relevant app without leaving what you were doing (swiping will dismiss notifications so you can continue what you were doing if you're busy). If you are wearing a smartwatch, are at home, or you've set your voice to be recognized, your smartphone can be kept unlocked. As soon as you leave your ''unlocked'' space, stop speaking or remove your Bluetooth device, your smartphone will assume it should go into lockdown. ''Personal unlocking'' means you'll no longer need to endlessly enter your PIN or password every time you unlock your device. As we've known for a while now, ART is replacing Dalvik as the default runtime in the L release of Android. ART pre-compiles apps the first time you install them, so you'll be getting faster app launches every time, right from the beginning. ART also supports 64-bit processing. ART is reportedly twice the speed of Dalvik and will be an Android-supported update for all apps, costing app developers nothing at all to implement. There's also major improvements to graphics performance for hi-res gaming and impressive changes to battery demands through system-wide optimizations covered under the umbrella of Project Volta. A default battery saver in the L release will bring the same kinds of extreme power saving options we've been seeing on 2014's flagship devices to all Androids on the L release. Google Play Services updates ship every six weeks, meaning users always have the latest malware definitions, constant security patches and the long-awaited kill switch (although they never called it that specifically) so you can remotely disable or wipe your device if it is stolen. Google Play Services will now be the agent responsible for pushing security patches, rather than via firmware updates, meaning security will be much more responsive than it has been previously. The L release will also allow you to use your personal device at work, with built-in sandboxing (like we've seen in Samsung's Knox platform) to keep your personal and professional experiences separate, even within the same device. Universal Data Controls let you manage all of your app privacy settings in one place. As expected, Android Wear is a key component of Google I/O and is deeply integrated into the L release too. The full Android Wear SDK is now available for developers. The smartphone will become the hub of activity, but the wearable will be the key screen in your casual interactions, so you can cut down on the frequency of pulling your phone out of your pocket and checking notifications, updates and other relatively ''minor'' things. Check out further details on Android Wear and wearables at Google I/O. Google Fit is a new set of APIs designed to take all kinds of data from your fitness apps and the sensors on your smartphone and wearable devices and centralize them in one place, so all of your fitness data is instantly accessible. Of course, you can also grant apps permission to access that data as well, so you can pick and choose amongst the variety of health manager apps available. Google is really taking the health aspect in Android L to new heights. What are your thoughts on Android L? What other features do you want to see? THE major topic and one which will decide whether Android is going to survive and its not mentioned? Will the thousands of people waiting to use the SD Card on there (at present moment) paper weight (used to call there Tablets) until they upgraded to kitkat and turned there units into basically dare I say it...Facebook tablets, coz lets face it, anyone who bought them to work on got shafted so hard. So the top topic which should of been the first thing anyone said about android 5 is did they fire the moron who thought that stupid idea up and can we dust down our trusty tablets up after a long time and use them for real work? Or are they now just game and facebook only tablets? Without easy root, how is this any better then an i-thing?? Is google completely separating itself from the community that made it? They should make it a toggle to root and a choice for custom recoveries, most will just leave it, but for the people who want that level of control, let them have it. For me it's of no use if it dosent get root... I hope it's difficult but not impossible... Anyways I'm gonna flash my S3 with a custom rom anyway... 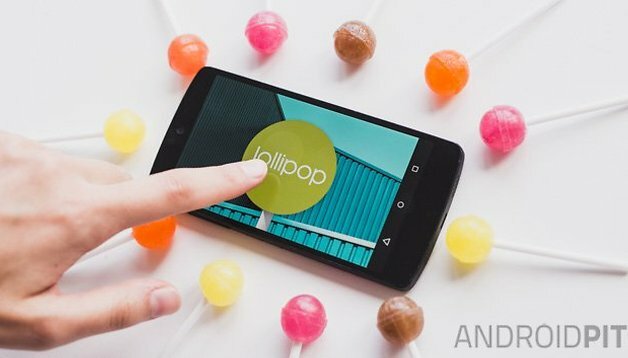 But will the galaxy s 3 getting a custom rom android Lolipop support? Hope so. Fingers crossed!!! well done. i checked on a Google and now used. There's an army of Xposed fans that will surely make it happen, so never fear! The material design is so fresh, I love the simplicity and choice of colours . Fingers cross yes, but it won't be an official update. I expect Samsung to abandon a lot of 'older' devices like the S3/Note 2 on KitKat. You'll be able to get a custom ROM by the end of the year on Android 5.0 though if you're willing to take that route. The only thing I'm looking forward to is performance, i.e. ART. All the rest seems lame to me. Also this "Notifications are now available direct from the lock screen." Huh? I've been having those for like eternity now. What I really mean is nothing really stands out, except ART which is already old news. Why aren't you using ART yet? It has been out since 4.4 was launched! You know very well that not all apps were supported and that broke it for me. I don't care about incomplete solutions which even crush the phone now and then. Too much of a hustle for some little performance gain in between. That is a problem of the developers of the apps, not Android itself. That's why they are telling the developers in advance that they will make ART the default runtime so that apps can be tested. If the developers don't update, you'll still have an incomplete solution and you will never change to ART. Well, it's obvious, isn't it? They are now forced to change to ART.